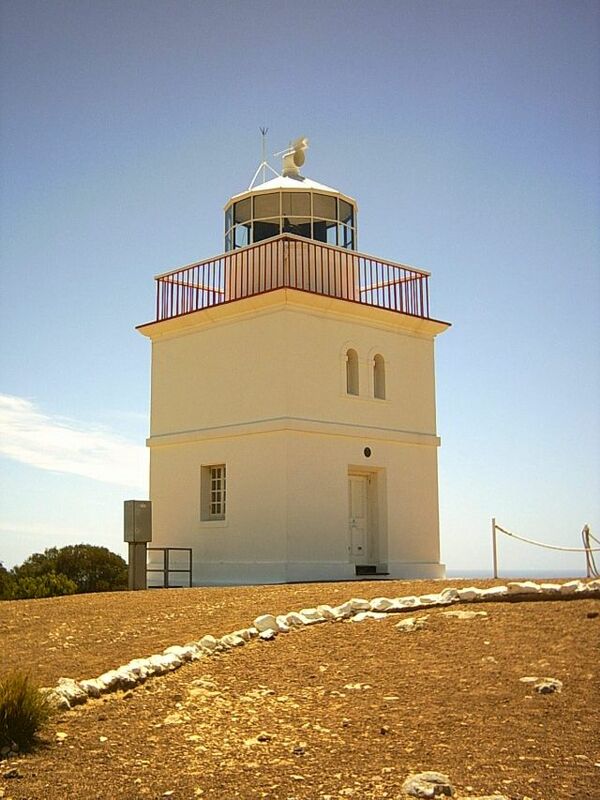 Cape Borda Lighthouse | Lighthouses of Australia Inc. The Cape Borda Lighthouse on Kangaroo Island was isolated and the scene of tragedy in its early years. It is the only square stone lighthouse in South Australia. The lighthouse was built in 1858, and is the third oldest remaining in South Australia. It is also the only square stone lighthouse in South Australia. It was built to guide sailing ships arriving in to South Australia off the Roaring Forty trade-winds and into the Investigator Straits and on to Adelaide. In the early days supplies had to landed by boat and hauled up long steel railway at nearby Harvey’s Return. The small cannon was put in place to be fired during fog to signal ships of danger before the introduction of radio. It was also believed that due to the Russian scare the placement of the cannon was symbolic of a small military presence, and therefore seen as a deterrence to invasion from possible enemy ships! Indeed one of the reasons for building the lightstation in that position was to be a lookout for Russian ships. 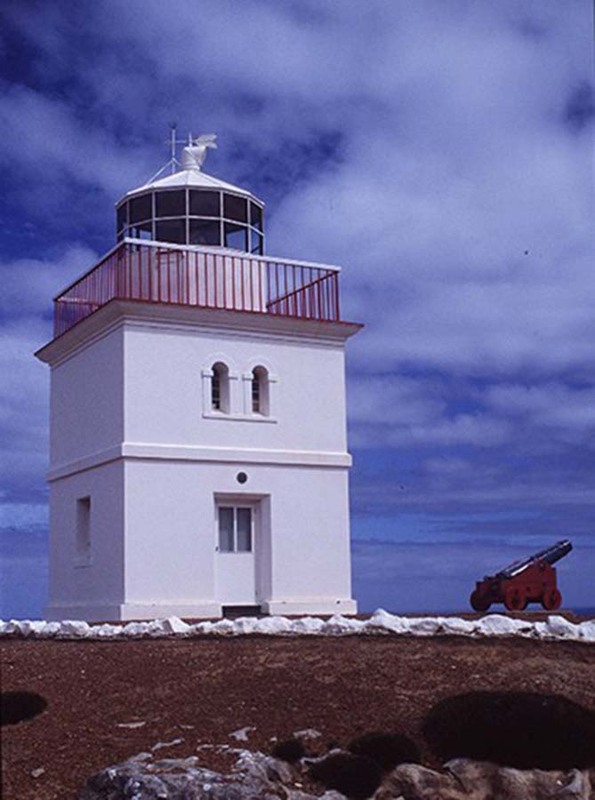 It is only one three lighthouses in Australia to retain a Deville lantern room. The light was converted to automatic operation in 1989. Visiting the small cemetery, at Harvey’s Return, where there are 16 headstones, is a solemn reminder of the hardship endured by early lighthouse keepers and their families. One keeper died a slow agonising death after having his eye pierced in a fall. Children died of diseases with no access to medical treatment. One child was found at the bottom of a steep cliff, killed in the fall. Other children simply disappeared in this rugged scrubby terrain. Current Optic Chance Bros. 250mm f.r. Quad flashing catadioptric. The lighthouse grounds are open all year round. The tower is not open to the public. There is a small museum on site.